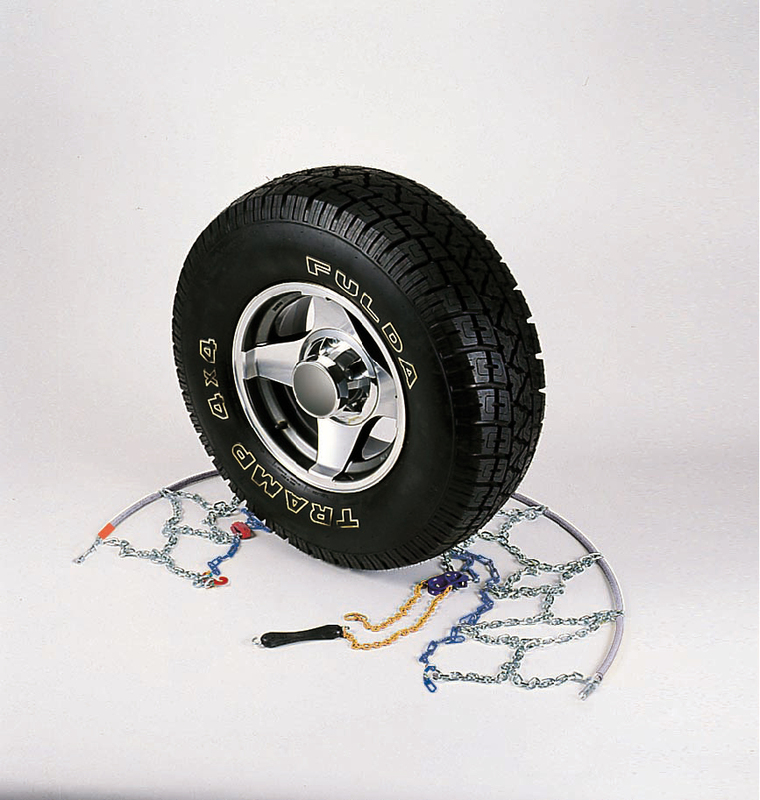 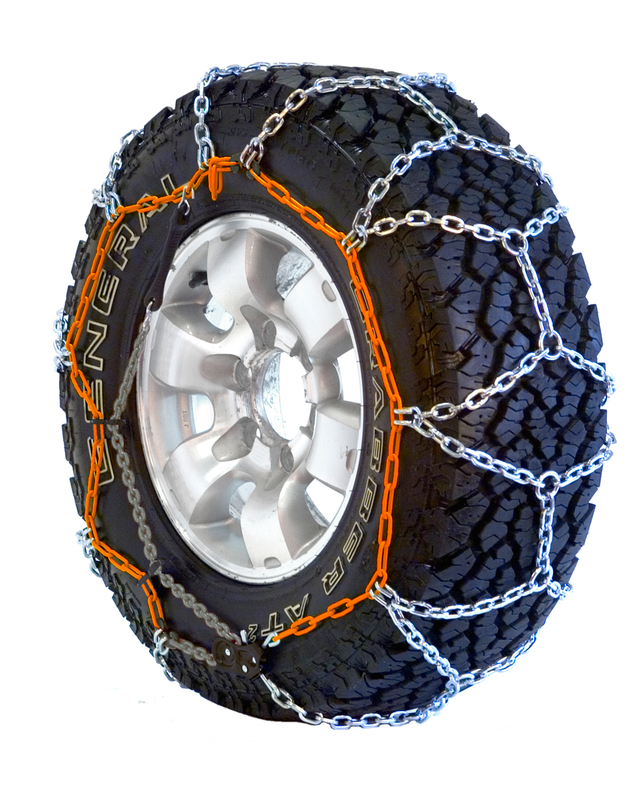 Everest Power X snow chains from Snowchains Europroducts are a range of quality snow chains, which are ideal for occasional use, such as skiing trips. 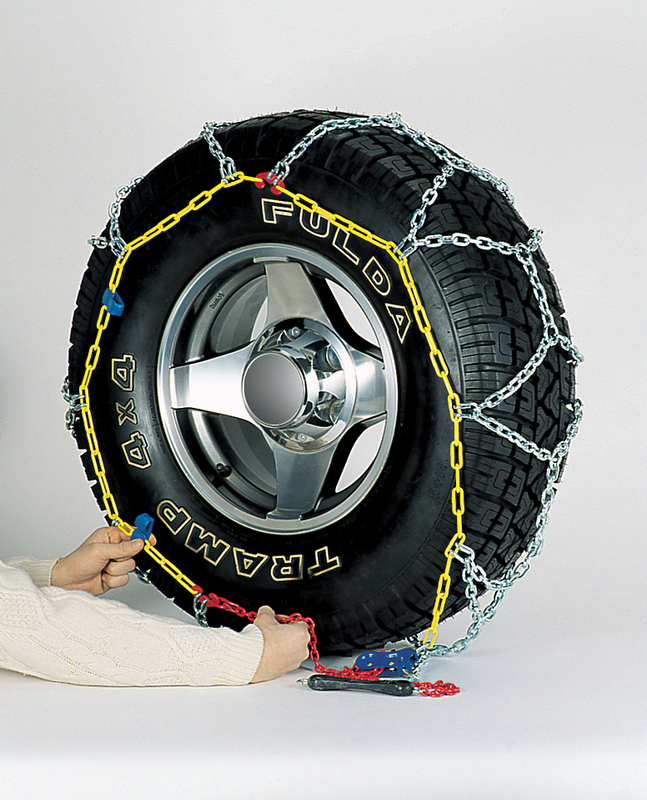 Everest Power X are produced from quality steel components and utilize the very simple inner cable mounting system. 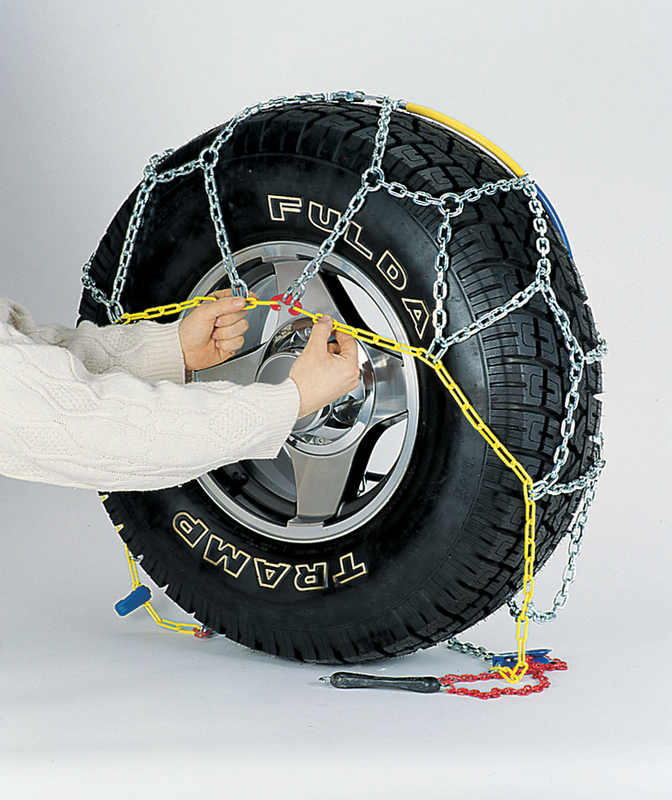 (See fitting instruction illustrations below) The Everest Power X represents excellent value for money. 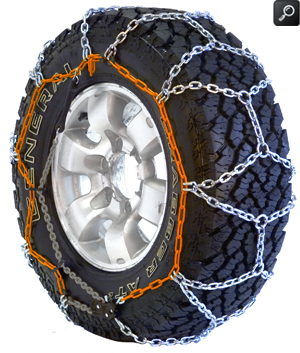 If you change your car and need a different size or type you can take advantage of our unique snow chain exchange service. 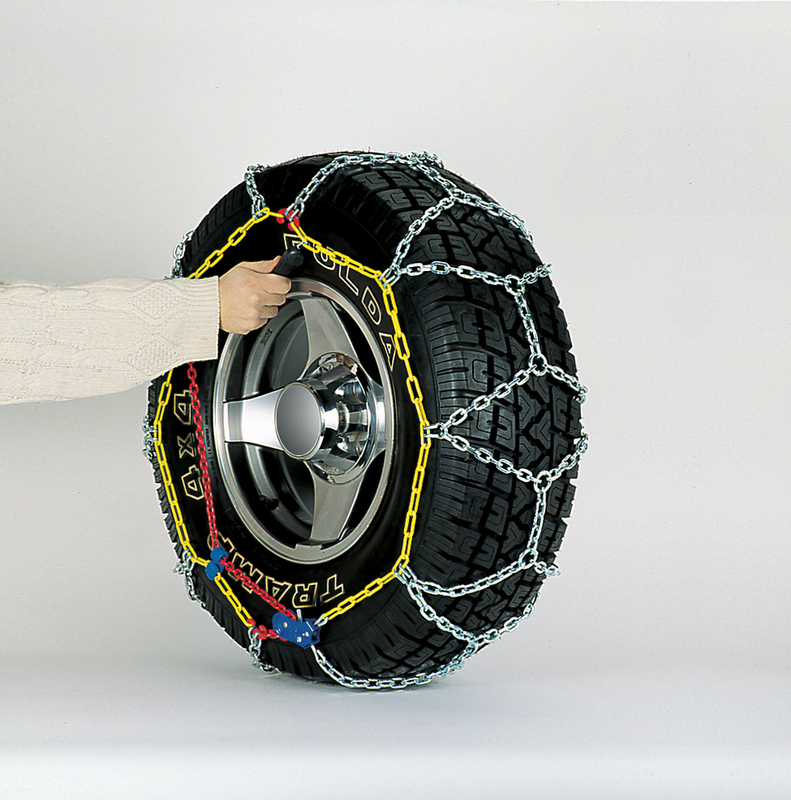 Please note this service can only be available where Everest Power X snow chains, including packaging are in new unmarked condition. 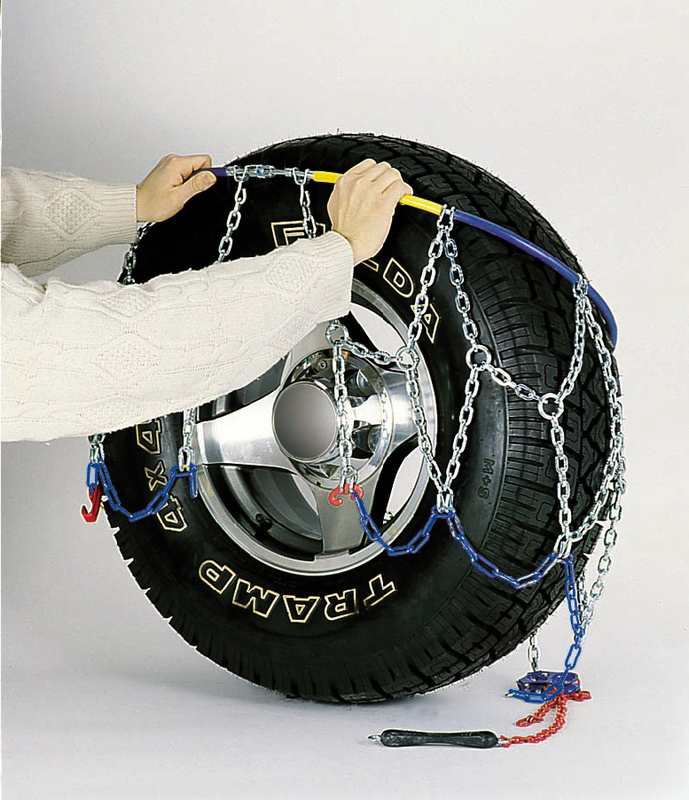 Everest snow chains are supplied in pairs in a neat carrying case with illustrated easy to follow fitting instructions, spare emergency repair links and disposable plastic gloves.